Really pretty! Not sure I would pay what they're asking, but I love how unusual it is nonetheless! Wow, the ring is amazing. 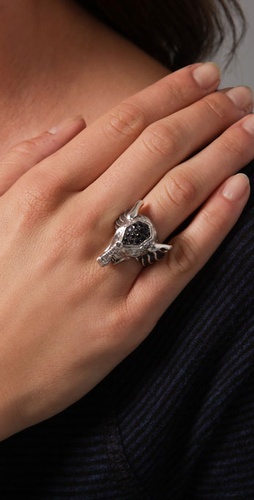 I love statement rings, so am natuarally in love with this ring. I love, love this ring! So cute! I would love to have one! I want this. 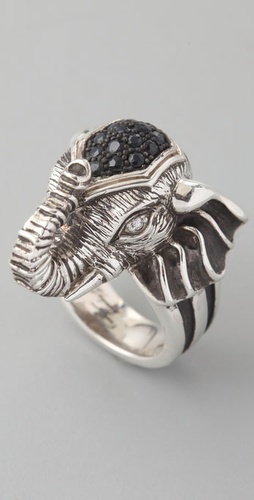 My college's mascot is an elephant so I need this for my football fashion lol. I love elephants and this is not exception. I always seem to adore what Elizabeth & James comes out with, kudos to the Oslen twins! You know, usually, I hate both rings and elephants. But I love these. Kind of expensive for me =( But I love it!